Where do I need to be at the time of lodgement? Visa numbers, classes and rules can be confusing, and as described in the video, your physical location at the time of your Visa application depends very much on the type of Visa you are applying for and the stage you are at in your Partner Visa journey..
Where do I need to be when I lodge my Subclass 309 application? To clarify, this does not mean asking, “Do I need to be at home?” or “Do I need to be in the Immigration Office?” No, here we are referring to WHICH country you are in at the time of application. If you are applying for a Subclass 309 Visa, you need to be OUTSIDE of Australia at the time of your Partner Visa application. In fact, you need to be OUTSIDE of Australia on the day you lodge the Visa application. 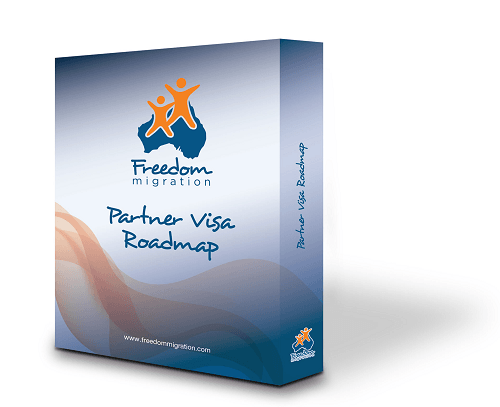 Where do I need to be when my Subclass 309 Visa is granted? You will also need to be out of the country when the visa is granted. If you are in Australia on say a Visitor visa (Subclass 600) then you will be asked to leave by Immigration before they make their decision. Your migration agent will normally manage this for you but if you are processing your application on your own, make sure your contact details are up-to-date. What about the second stage of the application(Subclass 100)? When the time comes to considering the permanent stage, which is Step 2 of your Partner Visa process and happens two years down the track, it doesn’t matter where you are physically located. You could be INSIDE or OUTSIDE Australia at the time of application. Where do I need to be when I lodge my Subclass 820 application? If you’re applying for the Subclass 820 and you have a valid Visa which allows you to lodge INSIDE Australia, you need to be INSIDE Australia for the Subclass 820 at the time of application. What about the second stage of the application (Subclass 801)? When the time comes for Stage 2 of this particular Visa process, you can be either INSIDE or OUTSIDE of Australia at the time of application. Where do I need to be when I lodge my Subclass 300 application? With the Subclass 300, which is the Prospective Marriage Visa, you have to be OUTSIDE of Australia to apply for this Partner Visa. It is classified as a Prospective Marriage Visa under the Partner Visa category but you can’t be INSIDE Australia at the time of application for this Visa. Is there any place I shouldn’t be? Actually, this is a good question as the only place you can’t be for ALL the Visa types covered is in Immigration Clearance. This will literally apply if you are in the process of physically moving through the airport. So please remember, if you are either leaving or entering Australia, these are NOT the right situations to apply for the Partner Visa. And there you have it in a nutshell! We get many questions about location when it comes to Visa applications and we hope this summary helps. For further information and for your peace of mind, contact us at Freedom Migration. We can help. Please feel free to comment, we love getting your feedback and will reply to any questions you may have.